School more of a challenge than expected? The first day of a new school year should be an exciting time in every child’s life. There are exciting books to read, science experiments to perform and art projects to create. There are clubs to join and sports teams to cheer on. Don’t forget, of course, all of the new friends to make. The lifelong love of learning is beginning to blossom. Unfortunately, this is not the sentiment for all students. For some students, going back to school can be a time of dread. Anxiety, uneasiness and feelings of low self worth can set in and, unfortunately, can have lasting repercussions. These are the students that have a feeling that something is “off” or that they are “different.” These students may not grasp academic concepts like their peers. How do you know if this is simply a phase or possibly something more? 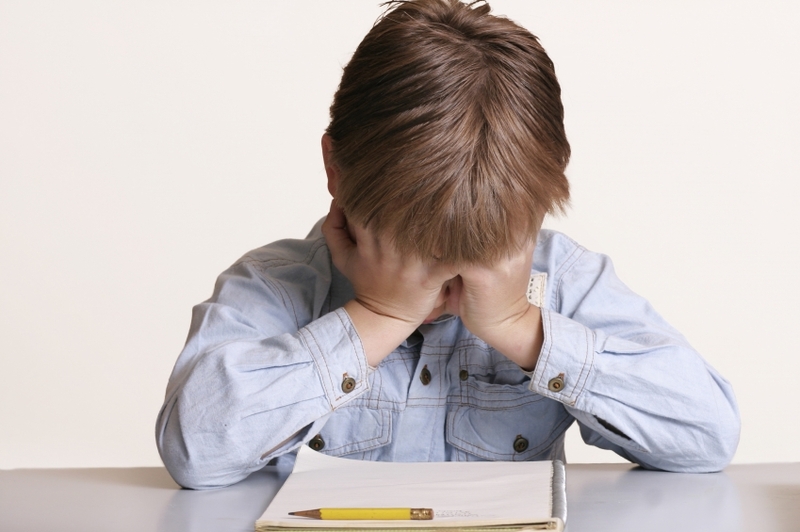 Could this uneasiness in your child be caused by an undiagnosed learning problem? Dr. Rawley highlights signs in children that parents can be on the lookout for that may demonstrate an undiagnosed learning problem. Dr. Rawley advises parents to seek help if their child demonstrates a variety of these issues in a multiple settings. 1. All students have some back to school anxiety, but students with undiagnosed learning differences may be more nervous than most children. They may display a feeling of dread and anxiety at the thought of getting back into the classroom. 2. Teachers are sending notes home to parents indicating behavior issues. Boys often display a pattern of disruptive behavior in the classroom. Boys will often interrupt the class and act out, both of which can be early warning signs of a learning difference. Girls tend to become more introverted and shy. This is one of the reasons that boys are often diagnosed before girls. Boys’ behavior typically makes them stand out in the classroom while girls’ behavior tends to make them hide away. 3. Grades are dropping or their grades do not reflect their capabilities. 4. Students that display hyperactivity and cannot sit still. 5. Students that need to be told multiple times to complete a task. 6. Students who are constantly forgetful and lack of organization skills which go beyond typical kid clutter. 7. Students who forget to turn in homework assignments, even if it has been completed. 8. Students who suffer from frequent and debilitating procrastination. If a parent is concerned about any of these problems in their child then it may be time to contact a pediatric psychologist to complete a comprehensive psycoeducational evaluation. This evaluation will include an interview with the parents to obtain background information regarding the child, a review of teacher and school feedback and a one-on-one observation of the child by the psychologist. The psychologist will conduct a full battery of assessments that can include intellectual, achievement, emotional processing and personality functioning tests. Dr. Rawley says that knowledge is power. “The more information parents have on their child’s unique learning style and the options and opportunities available, the more their child can achieve.” Children should love learning. Giving students the proper tools to reach their own success will create lifelong learners. Sarah Jayroe is the Director of Public Relations at Dallas Academy. Dallas Academy is a private, 1-12 grade school in the Lake Highlands neighborhood of Dallas. Dallas Academy specializes in working with students with diagnosed learning differences. www.dallas-academy.com.